Andrea Berton was born in Friuli in 1970. His cooking adventure starts in Milan as member of Gualtiero Marchesi brigade in Via Bonvesin della Riva. 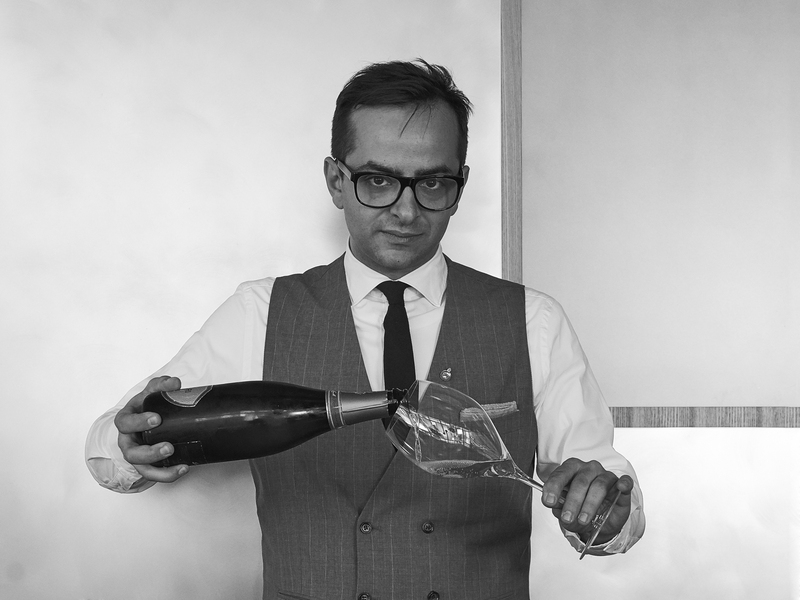 His training continues in the best restaurants of the world: first from Mossiman's in London, then at the Enoteca Pinchiorri is Florence, and finally at the Louis XV in Monaco under the guidance of Alain Ducasse. 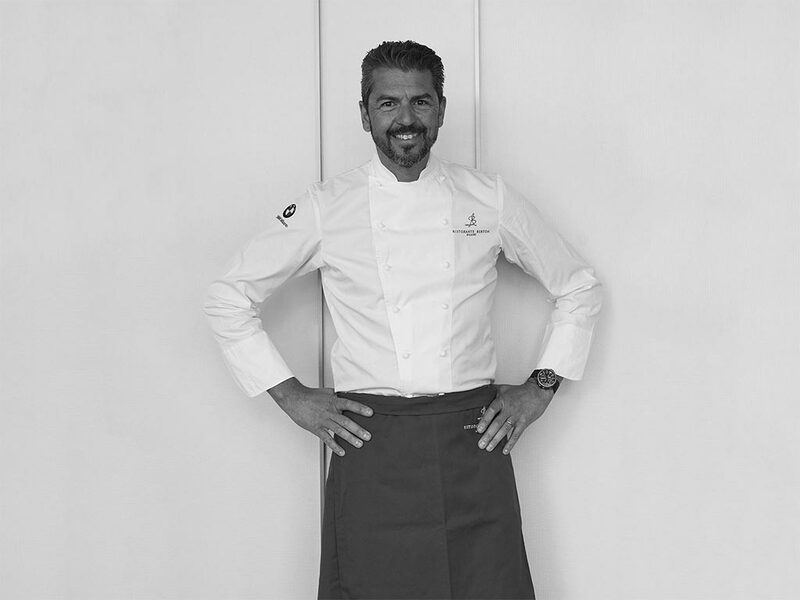 From 1997 to 2001 he works as Chef of the Taverna di Colloredo in Monte Albano, gaining his first Michelin star. 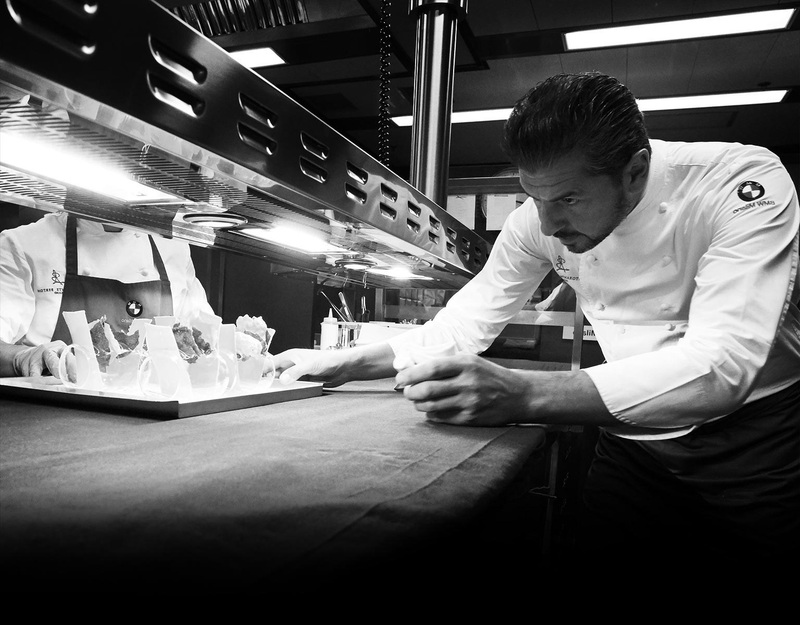 In 2005 he begins a collaboration with the Restaurant of Piazza della Scala in Milan where he obtains several awards such as the first Michelin star in 2008, the second one in 2009, three forks from Gambero Rosso in 2010 and three hats of L'Espresso guide in 2011. 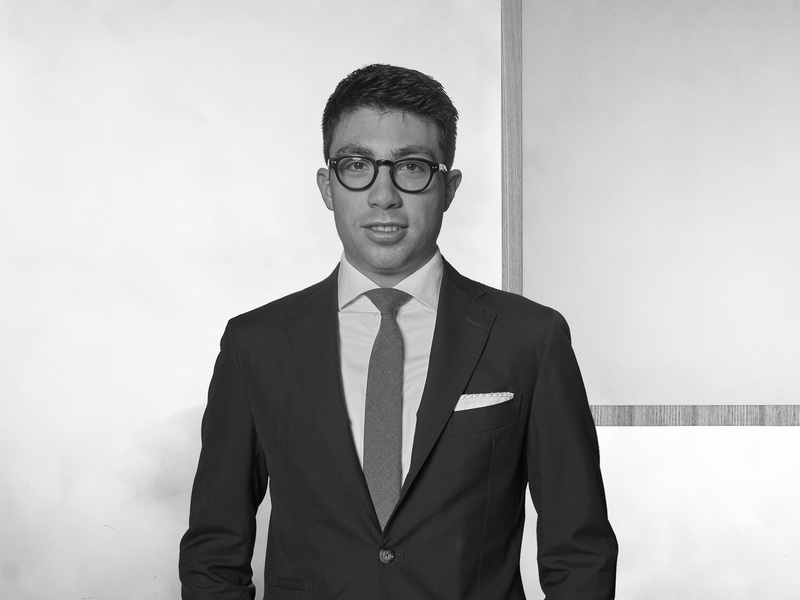 In September 2012, together with a group of partners, Andrea Berton opens Pisacco Restaurant and Bar, and, in July 2013, DRY Milano Cocktail&Pizza. The return to "his" cuisine takes place with the opening of Ristorante Berton where the Chef presents "modern dishes" enhancing the basic ingredients and featuring some ingredients that are not well known. 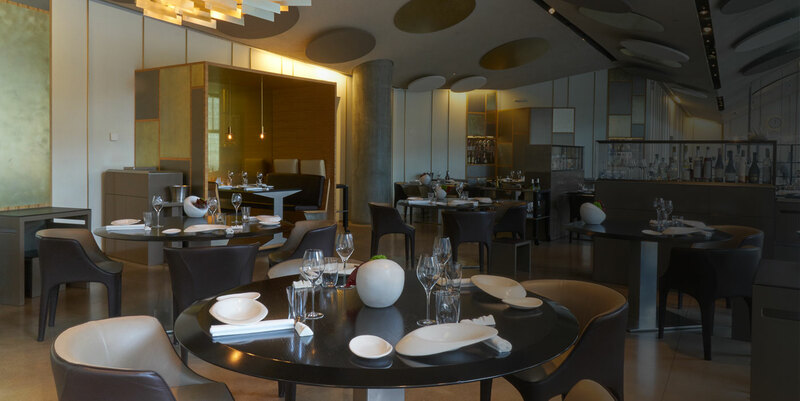 Opened on December 2013, the Restaurant which bear the name of the Chef, is characterized by a cuisine where flavours are always recognizable to palate. In November 2014 Andrea Berton and his staff were awarded a Michelin Star and in March 2015 Chef Berton was appointed EXPO Chef Ambassador. Concerning 2016 recognitions Chef Berton obtained 3 forchette from Gambero Rosso, 18 out of 20 points by Espresso Guide and the Corona Radiosa by Gatti Massobrio Guide. On October 2016 the Chef obtained “Tre Cappelli” of the Espresso Guide and “Il risotto dell’anno” award of Riso Scotti. The Michelin Star obtained in 2014 was confirmed. 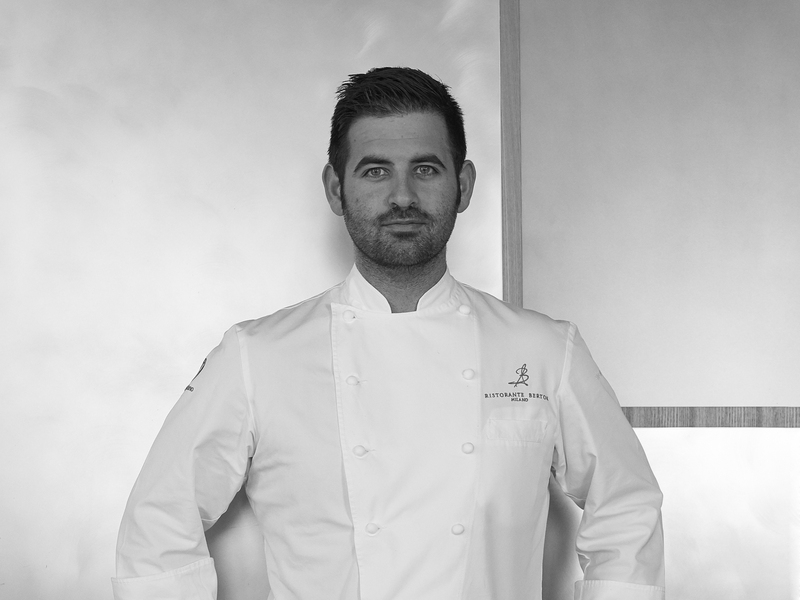 In August 2016 Andrea Berton starts his partnership with Il Sereno, the newest luxury hotel in Lake Como, where he opens his restaurant “Berton Al Lago”. In March 2017 the Chef presents his first book “Non è il solito brodo”, edited by Mondadori Electa. Following the success of DRY Milano Cocktail&Pizza. together with his partners, in April 2017, opens the New DRY Milano, introducing in the previous format a lunch proposal and a pastry laboratory. A close and harmonious team that works with precision and determination. This is the key to make a restaurant work well.